Since 1901, there have been 585 Nobel Prizes awarded. Do you know how many have been awarded to women? Forty-eight. It’s difficult not to feel shocked by this number, with the UN revealing that, globally, women and girls “continue to be excluded from participating fully in science”. As part of an effort to change this, February 11th (this Sunday) has been named International Day of Women and Girls in Science. 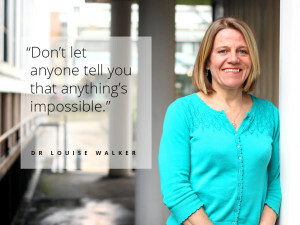 Our Women of Wonder campaign celebrates some of the women in our Faculty whose research and work is having an impact not just here at the University of Manchester, but across the globe. 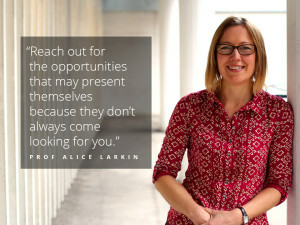 For example, Head of the School of Mechanical, Aerospace and Civil Engineering Prof Alice Larkin has given scientific evidence that’s helped shape the development of the UK’s Climate Change Act. And Senior Lecturer at the School of Computer Science Dr Caroline Jay has worked closely with Britain Breathing to gain an insight into how pollution and the weather affect people with allergies. Impressive, yes – but what all of our Women of Wonder have in common is that none of them is Wonder Woman. To forge a career in science or engineering, you don’t have to be a Marie Curie-level genius (although it helps!). You just need to have a passion for science and engineering and a desire to stay curious. 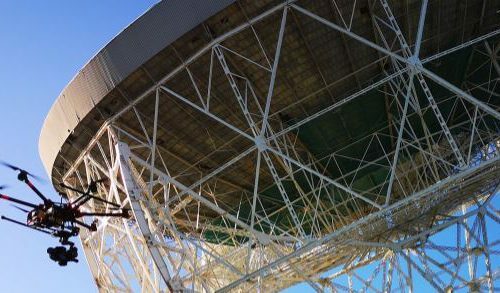 Across the UK, just one in five students studying Physics at degree level is female. This figure is higher at the University of Manchester, but we still have a long way to go. 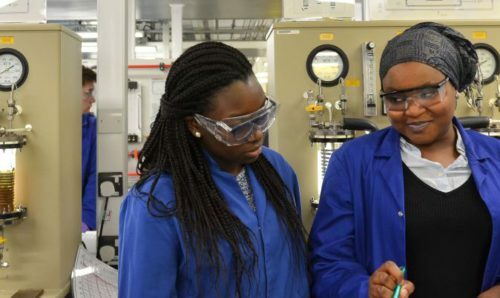 In recognition of International Day of Women and Girls in Science, we spoke to some of our Physics students about what made them fall in love with the science and decide to study it further. “I’ve always had a child-like sense of curiosity and wonder about the universe, leading me to ask grandiose questions like ‘Can we one day understand everything?’. I want to go everywhere and see everything! But because commercial inter-stellar travel is not yet available, the only way to do this is through Physics … I can’t imagine a more stimulating and inspiring field of study, and I’m constantly driven to achieve new understanding,” Mehsati Lally, MPhys(Hons) Physics with Theoretical Physics. “Until I was 11, I wanted to be a ballet dancer. In middle school, I had my first Physics class and, it’s fair to say, it was love at first sight! There is something oddly satisfying about understanding how things work. Simply apply reasoning and suddenly the universe makes sense! When I was so young, I had no idea what it’s like to be a Physics Researcher. My passion lead me to university and, fast forward 14 years, I work at the frontier of knowledge, I have a PhD in Physics and I’ve lived in six cities in five countries. And I wouldn’t change it for anything,” Agni Bethani, Post-doctoral Researcher in Particle Physics. 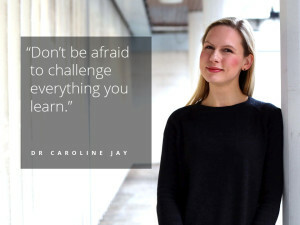 “What drew me to science as a child (and what I now know to be a part of the study of Physics, specifically) were the biggest questions, such as what is inside a black hole and was there a start to the universe. I love to learn new concepts and especially ones that seem so abstract or counterintuitive. What I love about Physics is that it is able to explain these phenomena! !” Rebecca Lait, second-year Physics with Theoretical Physics. “I fell in love with Physics when I first read about black holes as a child. Beyond the tiny environments that were home and school, there were places where the universe itself seemed to break down. 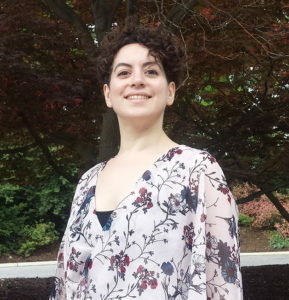 I realised that we didn’t know everything, that science wasn’t done – and I resolved to become one of the people doing it,” Osnat Katz, fourth-year Physics student. “Growing up, I initially wanted to be an architect, as I thought this was an obvious way to combine my passion for Art and Maths. It wasn’t until A-level Physics that I started to discover that everyday experiences I had accepted as a given are in fact governed by theories that, unless studied, one would never imagine. Whilst underpinned by mathematical theories, this forced me to engage more creative thinking to confront philosophical questions. This was Physics’ main attraction for me: whilst it is highly mathematical, it takes abstract and often counterintuitive thinking to grasp the ideas behind it. 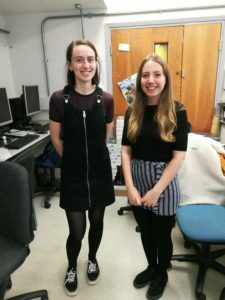 It offers a chance to combine hands-on experimental testing with rigorous Maths and creative thought and philosophical questioning in order to study objects from subatomic particles, right through to distant galaxies,” Isobel Taylor-Hearn, third year Physics student. “I was drawn to physics mostly because I found it incredible how Maths could be used to make discoveries about the physical world, many of which are difficult to comprehend, such as the bending of space and the contraction of time. I always enjoyed my Maths lessons so I thought Physics could be for me!” Martha Elliott, fourth year of Physics with Theoretical Physics. “I chose to study Physics because I enjoyed it and did well in it at school. Since coming to university, I have discovered how fascinating it is to learn about the principles that govern our universe. 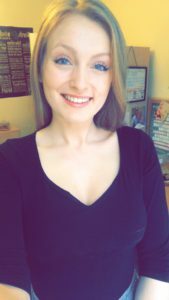 I would like to go into further research after my degree,” Sally Walsh, fourth year of Physics with Theoretical Physics. 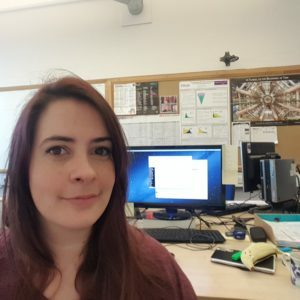 “I was fascinated by most things as a child and had a new job aspiration every week … Getting into university was a long struggle and I questioned the decision semi-regularly, but in my third year I took on a Particle Physics project (with a great supervisor) and I knew that this is what I wanted to do,” Candice Basson, first year Particle PhD student working on searches for dark matter with ATLAS. 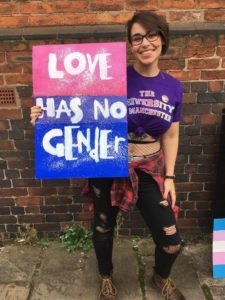 “I decided I wanted to study Physics while I was doing my GCSEs, and have always been fascinated by the fact that the universe can be described by science and equations. My current experiment seeks a deeper understanding of the fundamental building blocks of nature and their interactions. I attended a state school in Manchester not far from the university and did my undergraduate at Imperial College London. I am passionate about equal opportunities regardless of background, race or gender. 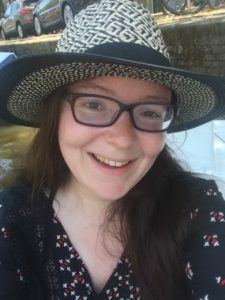 Although the field has made some progress, I believe there is still a long way to go!” Martha Hilton, first year Particle Physics PhD student working on the LHCb experiment at the Large Hadron Collider at CERN. 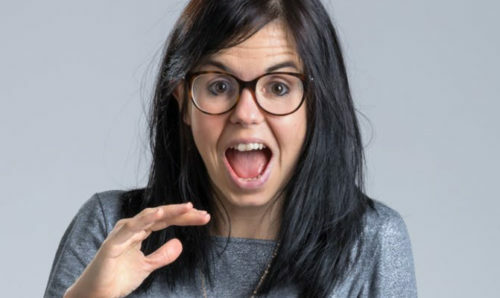 So, could you be the next Ada Lovelace – or perhaps the next Danielle George? All it takes is a love of science! To get inspired, learn more about our Women of Wonder here.